ohman. right outta the oven. still warm. SO GOOD. i made these delicious rosemary roasted almonds, as well as candied bourbon pecans for DIY holiday gifts. yes i said holiday. i’m so PC. PREHEAT oven to 325°. line a baking sheet with foil and set aside. COMBINE all ingredients in a medium bowl; stir to coat almonds evenly. SPREAD nuts onto baking sheet in a single layer. BAKE for about 20 minutes until lightly toasted, stirring halfway. allow to cool and store in an airtight container. 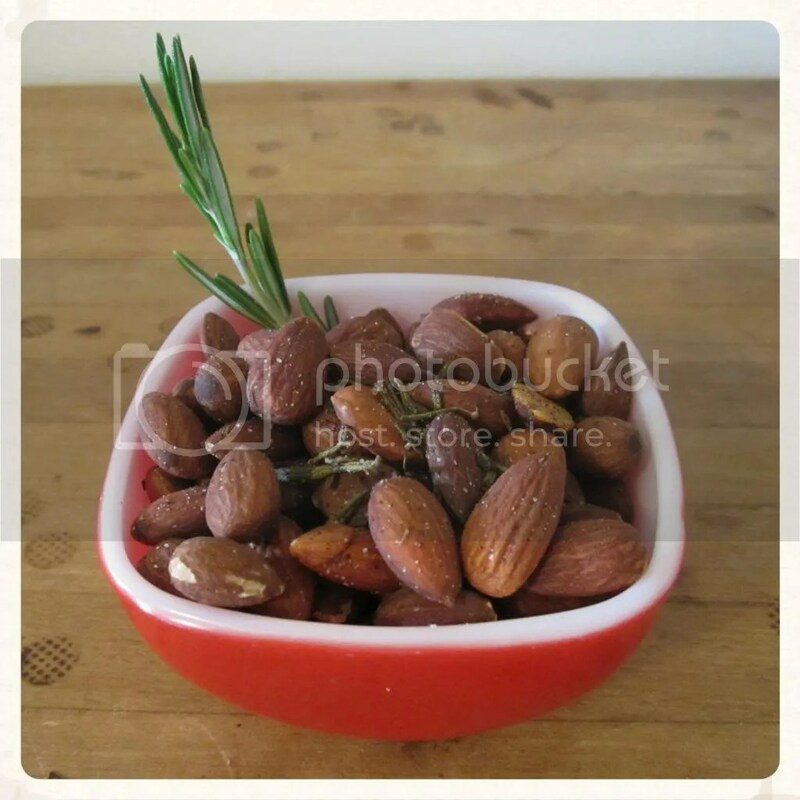 This entry was posted in diy, recipe, snacks, vegan, vegetarian and tagged roasted almonds, rosemary. Bookmark the permalink. YUM YUM!!! I want to make some soon! i totally tripled the batch! SO VERY ADDICTIVE.